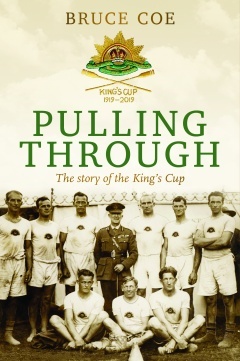 Early Friday morning, there was a Centenary breakfast to launch the new book by Dr Bruce Coe, Pulling Through – The Story of the King’s Cup. As a backdrop, the rowers at the Sydney International Regatta Centre were preparing for the Australian Rowing Championships. This is the course that hosted the 2000 Sydney Olympics and has been busy since Monday with racing. (From left) Dr Bruce Coe, Andrew Guerin and Scott Patterson. 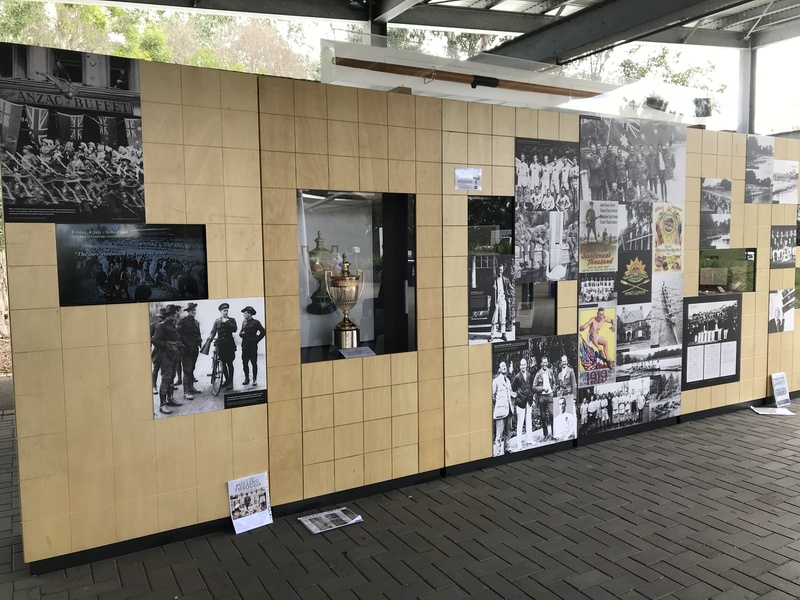 The event was organized by Andrew Guerin, chair of the Australian King’s Cup Centenary Committee, who also is busy with his comprehensive website on Australian history. 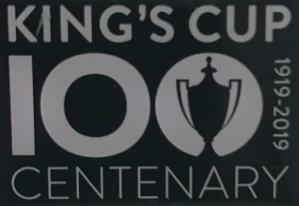 Dr Coe gave an excellent talk with many photos of the history of the King’s Cup. 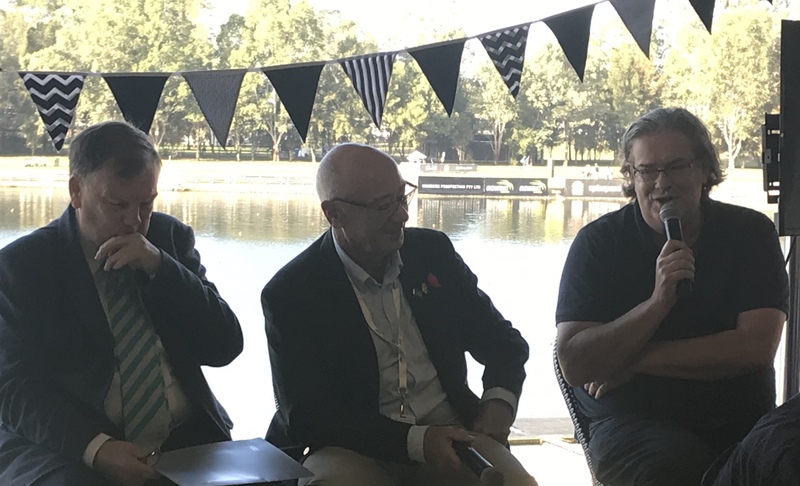 Listening to the talk was a great collection of Olympic rowers (I was lucky enough to sit with Nick Green, an ‘Oarsome Foursome’, who took gold in 1992 and 1996), King’s Cup representatives and many others. Following this was a preview of a movie made by Scott Patterson called The Oarsmen. 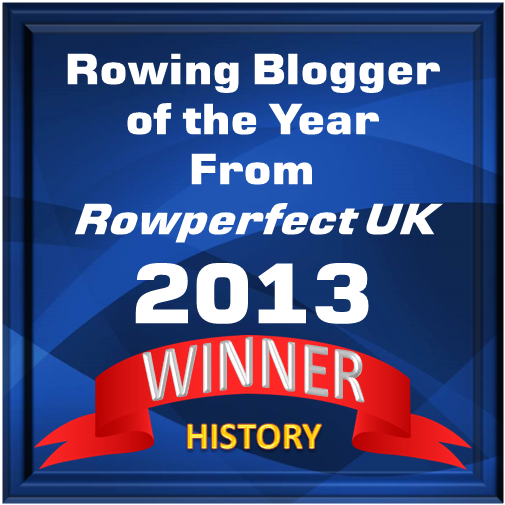 Scott has spent a lot of time tracing the background to each of the rowers and was successful in finding each rower’s presentation oar. What is missing is the rudder. 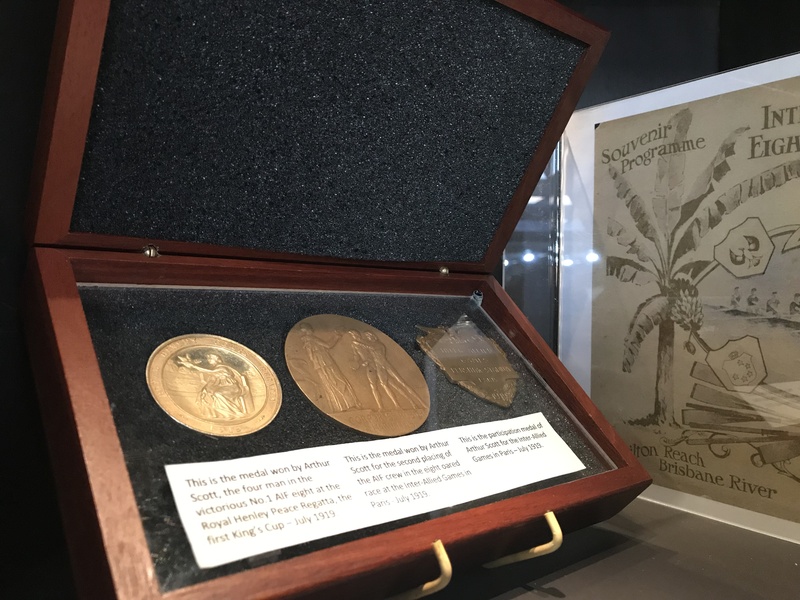 Andrew has also been busy arranging a display of the 1919 memorabilia, including programmes, medals, photos, and of course, The Cup. 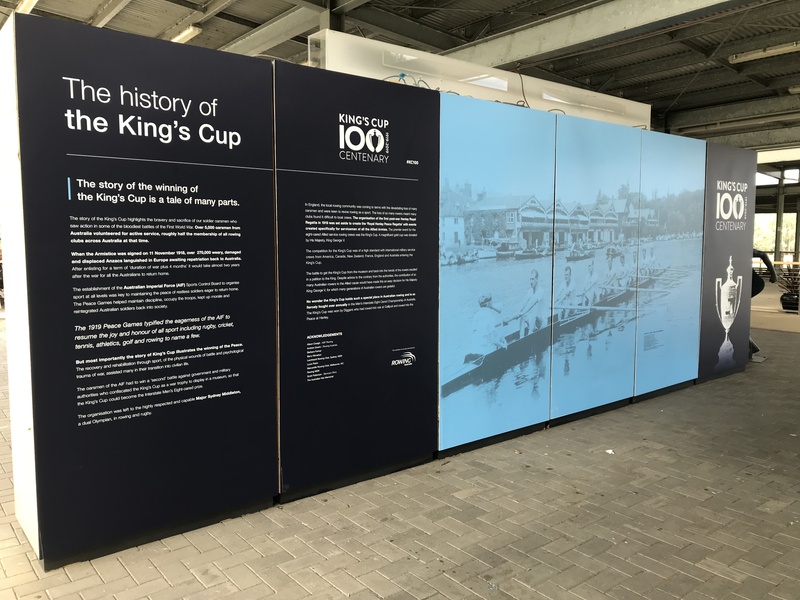 Excitement is building up today, Sunday, as we will see rowers representing their state for a number of trophies, with the King’s Cup being the final race. This brief report will be followed by a longer one after the races.